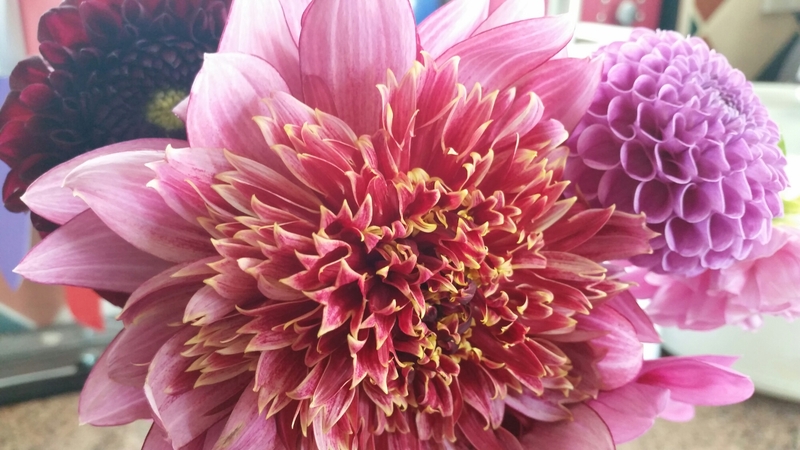 …because I’ve not done a great deal of crafting this week. But I have begun a reorganisation of my craft room. I’ve started to go through my fabric collection and have filled a bin bag so far with fabrics that I no longer care for. 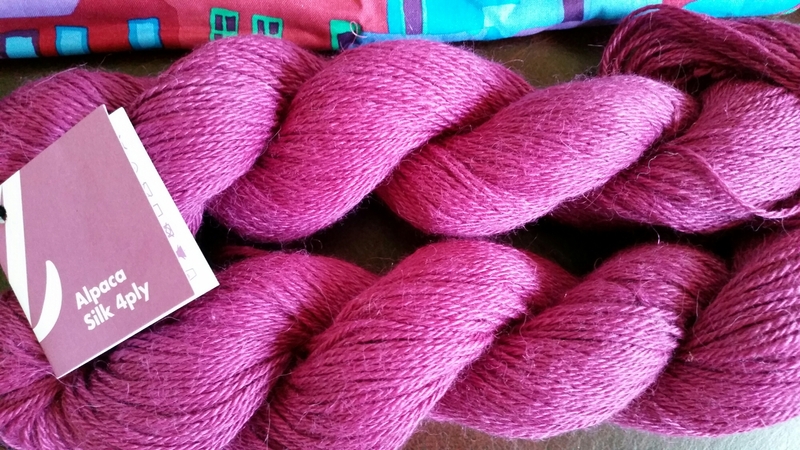 I suspect that I won’t downsize my yarn because over the years I’ve sold or swapped the outcasts. Posted in: Craft Room, Knitting. 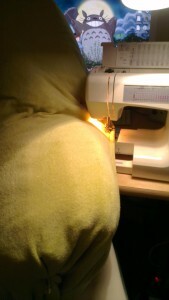 Posted in: Craft Room, Sewing. 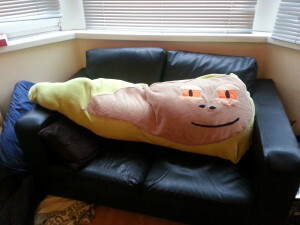 Here he is installed on Eric’s sofa. He takes most of it up! I had all of these grand plans for the Christmas break. I was going to knit all the things and read and watch all the things, too. Of course the reality is that I was only able to knit, read and watch some things. I do seem to go in phases of knitting certain accessories. 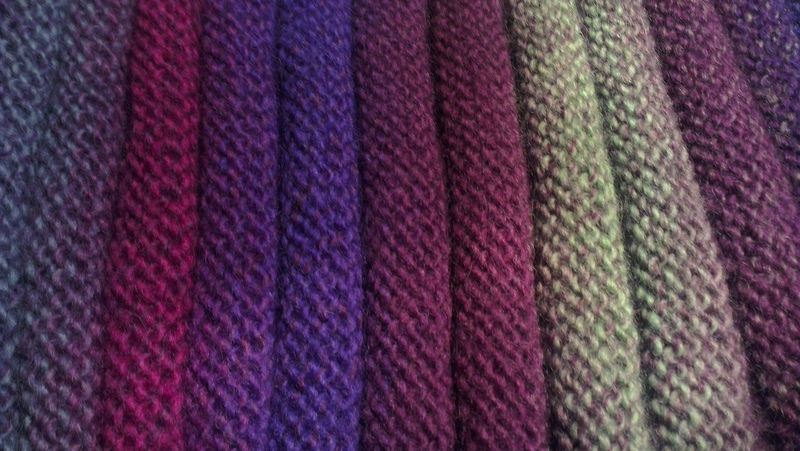 Berets have been a favourite recently but cowls are my current obsession. I bought this Mini Mochi yarn in shade 102 a couple of years or so ago from The Sock Yarn Shop. 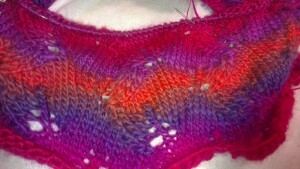 I’d had various ideas for it but I finally settled on the Burnished Leaves Cowl by Chrissy Prange. 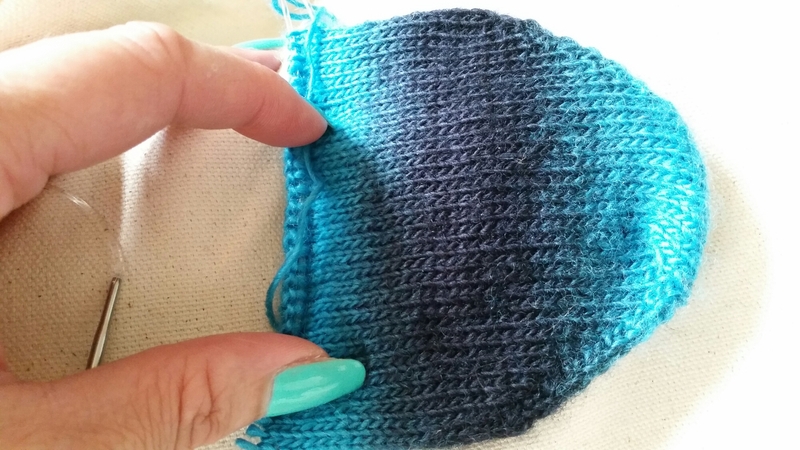 Somehow I managed to accidentally skip the several rows of garter stitch at the beginning, I plan to pick up stitches after I finish and add them then. A little of this yarn appears to go a long way. 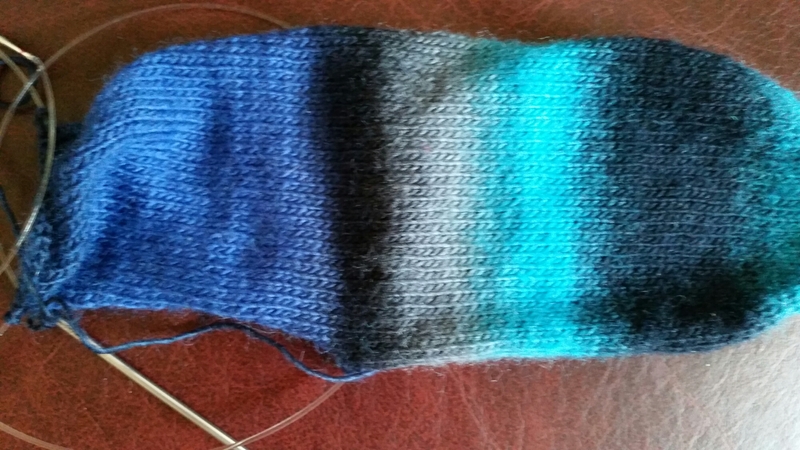 I think it’ll take under one 50g ball to finish this so I hope to make some coordinating finger less mitts to g with it. This began life as a cowl inspired by one I’d seen on Ravelry. The original didn’t have details of the pattern so I made my own. It was from some Rico Designs Creative Poems yarn that I’d bought in a sale. 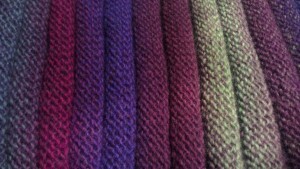 But as I knit, although I loved the pattern and the softness of the yarn, I didn’t love the colours. They seemed too dark for me, they were more manly colours really. 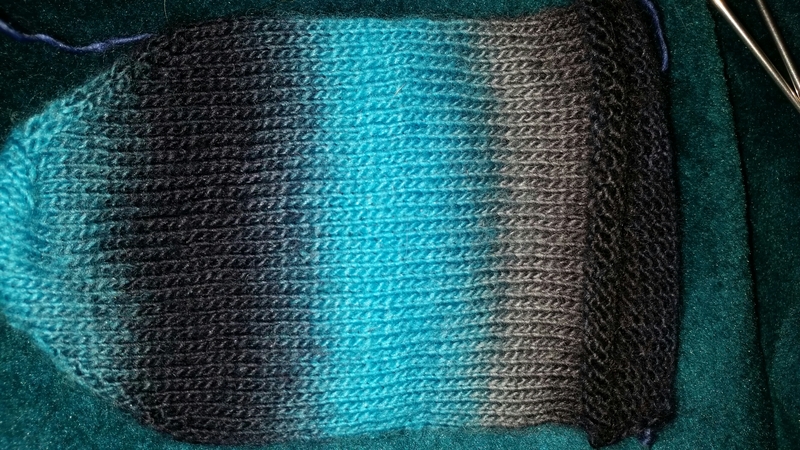 So I asked Eric if he’d like it instead but as a scarf, not a cowl. I’ve knit two balls but I think it could do with being a fraction longer so it’s currently on a stitch holder while I see if I can find another skein in the store. One more would do it. I’ll post the pattern here soon. 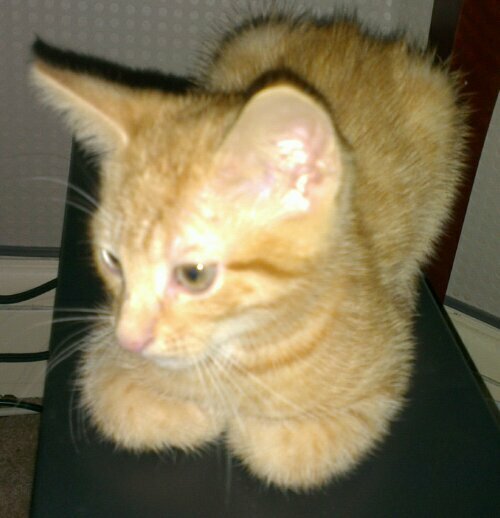 Charlie and Billie are well but I came home on Saturday to a catastrophe. They’d broken my kettle! They knocked it off the counter top onto the hard kitchen floor tiles. It didn’t enjoy its encounter with the floor and refused to work any more. I’d hoped I’d be able to fix it but it was too far gone. Fortunately I picked up a cheaper kettle in the Argos sale. It’s not as good as my lovely Bosch one which could heat water to several temperatures for different tea types, but it’s a kettle and it helps make tea and tea is an essential in my house. I’ve been knitting for thirteen years now but in recent years I’ve been quite curious about crochet. But aside from being able to badly make a chain for a temporary cast on when knitting socks, I’ve never been able to fully get to grips with it. I tried learning last year at a crochet club meeting at St Fagans and that didn’t work out well. It wasn’t the fault of the tutor, just that I couldn’t seem to grasp it. Learning a new skill can be harder than it looks and I really struggled. Holding the yarn was one of the hardest things, I’m so used to holding in a certain way for knitting that t feels unnatural to hold it any other way. 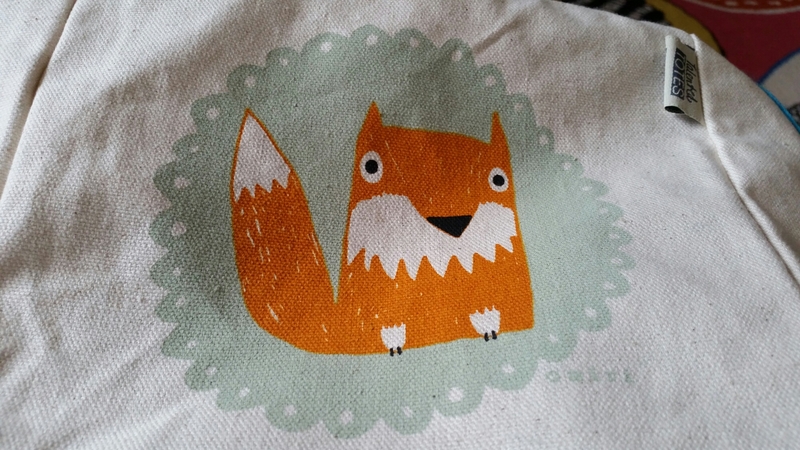 But I’ve been falling in love with Attic 24… Lucy makes lovely things and she has such a fantastic sense of colour. If you’ve never seen her blog before go and check it out right now. I went to a crochet workshop on Saturday and it was still a bit of a struggle for me but I understand more about the stitches now. My work’s quite messy but then I remember my first project when I returned to knitting in 2001. 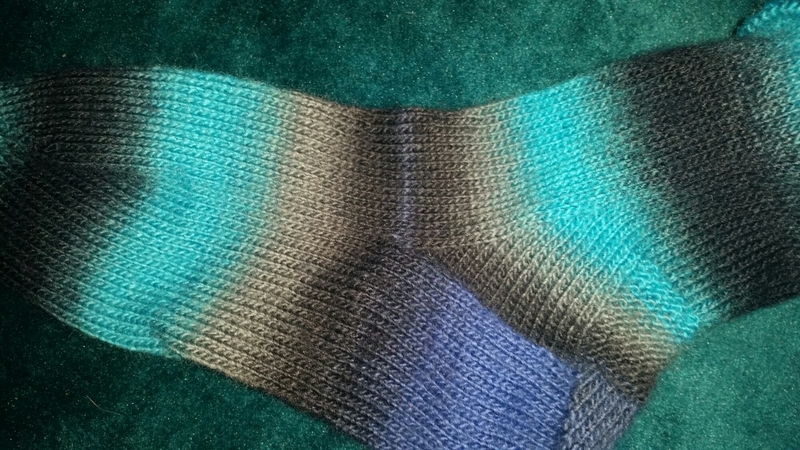 It was a scarf and I picked up so many stitches knitting it that it looked more like a weird sleeve at the end of it! I couldn’t even frog it as I split the yarn or something. 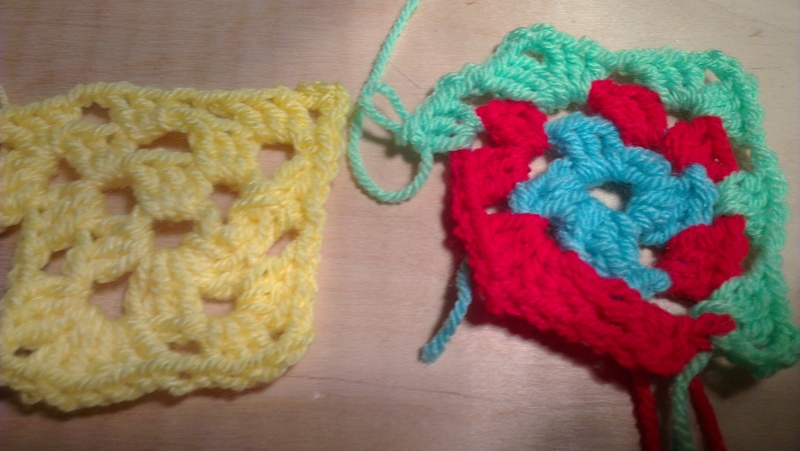 I started the yellow Granny square during the workshop and I began the multicoloured one yesterday. I don’t think I’ve joined the colours properly and my tension is awful but hopefully if I do enough of it eventually it’ll begin to click! I’m going to try and persevere and do a bit of crochet every day. …and he only clogged the feed dogs once! 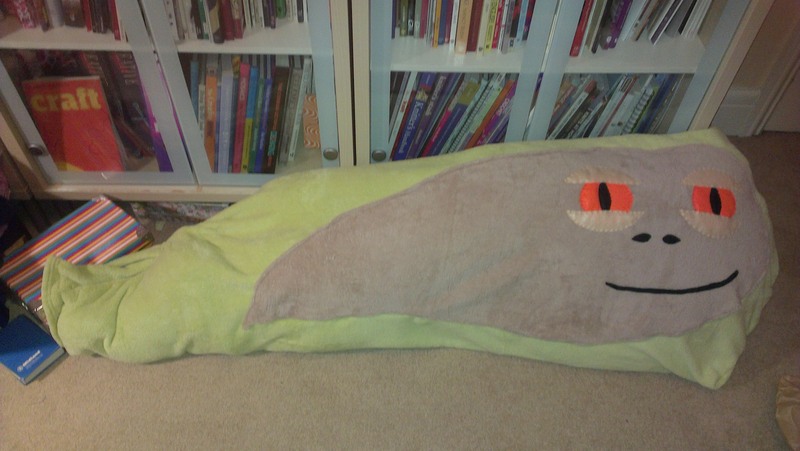 If you own Bonnie Burton’s “Star Wars Craft Book” then you’ll be familiar with the Jabba the Hutt Body Pillow. A few months ago I showed the book to my boyfriend and he loved the Jabba pattern so I said I’d make it for him for Christmas. My Jabba’s made from two throws (bed spreads) and five and half bed pillows. 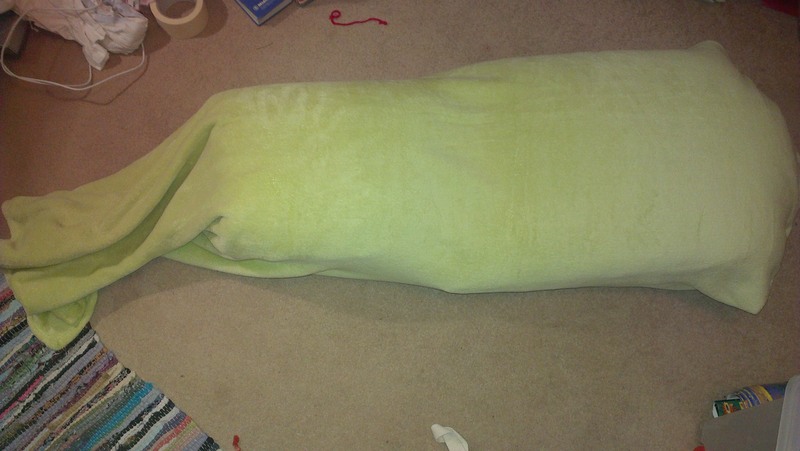 I followed the instructions for wrapping the pillows with the green throw and deciding on the best layout to make his sluggy shape. Please ignore the mess on my craft room floor! 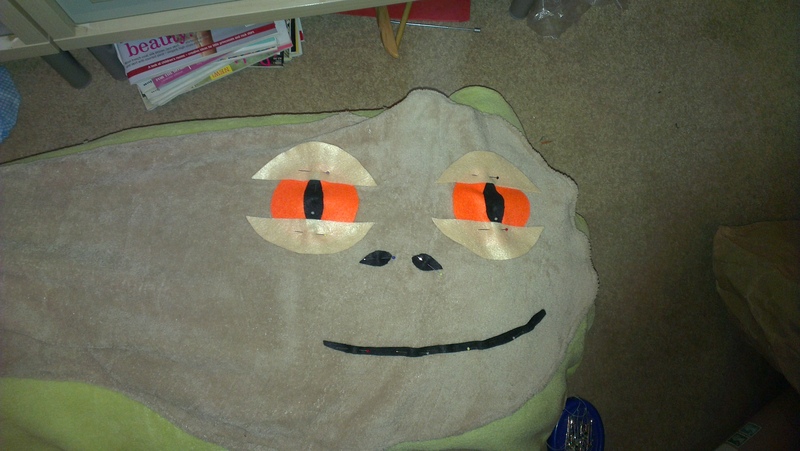 In the book he’s hand sewn but I was determined to machine sew Jabba as much as physically possible. 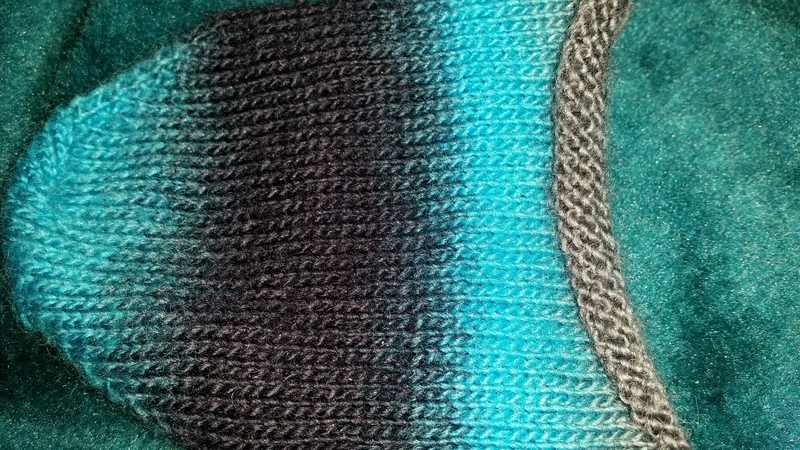 I rounded off the end off the head part of the throw. 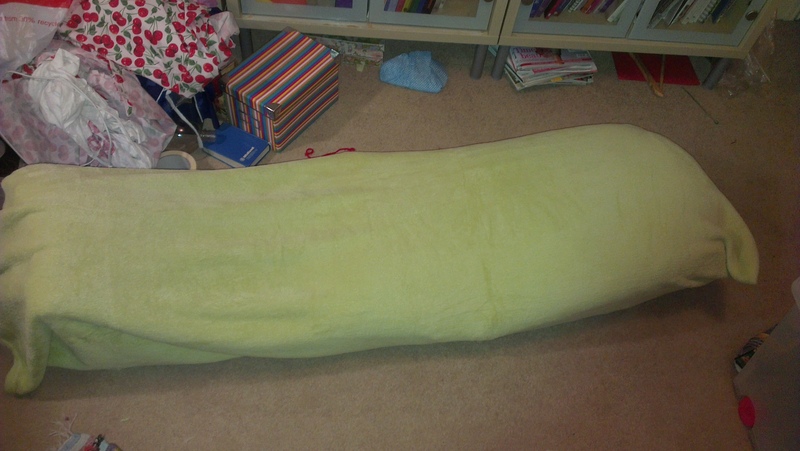 Next I cut out the sluggy head and stomach shape from the second, beige, throw. I had hoped to overcast the edge of this under my machine but this is where the fabric got stuck in the feed dogs of the sewing machine. 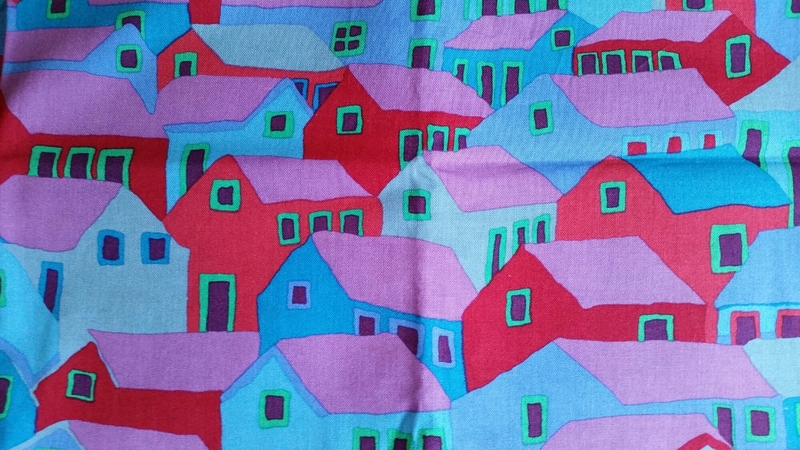 So, plan b was to turn the edges of the fabric under twice and machine hem it. I made paper patterns for his facial features and it was a lot easier cutting them out with the patterns than going free hand. 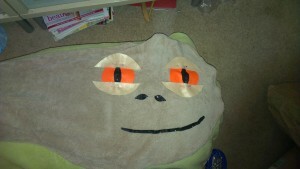 Jabba’s face, stomach and eyelids! The book calls for you to hand sew his face-stomach first and then add his features but I sewed his features to the stomach first for the sake of convenience. As you’ll see my Jabba looks quite a happy Jabba because I didn’t crook his mouth that much. In the end, the only parts of him that were hand sewn were his facial features. 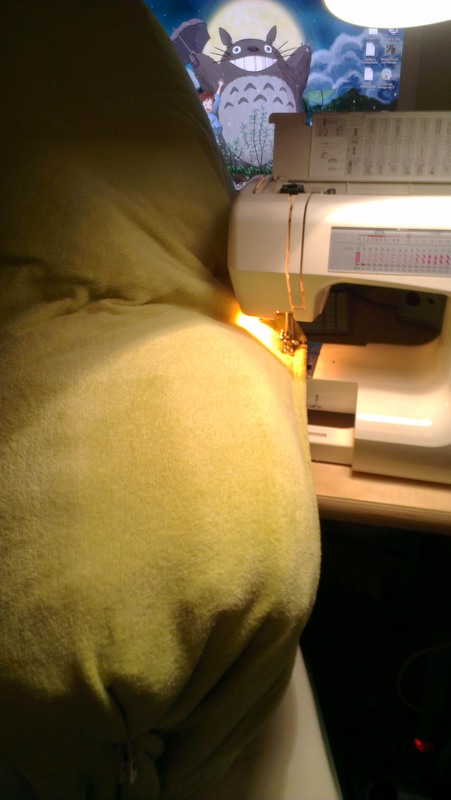 However the machine sewing did mean that I had to squeeze the pillow filled cover under my sewing machine. You may question my sanity here because it was pretty tricky and very awkward to do! When I was halfway through the sewing I had to balance some of the pillow filled case over the top of my iMac, it’s just behind my sewing machine, in order to spread the weight and awkwardness! 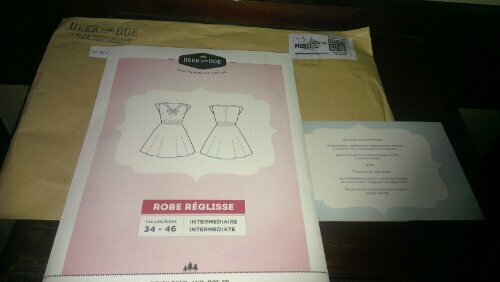 It was worth it though as I really dislike sewing by hand. 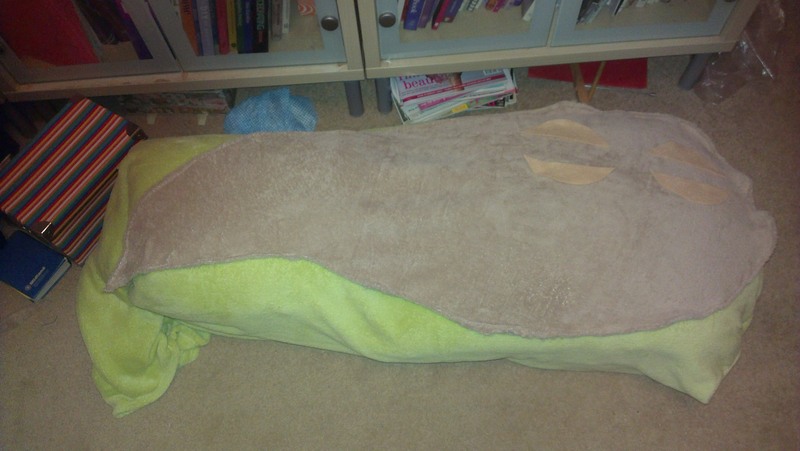 I split open a sixth bed pillow and used half of the filling inside to stuff his tail. I then finished the sewing and sealed off the end of the throw. I had hoped to make his cover removable and therefore machine-washable, the felt I used for his face can be machine washed at 30 degrees, but I ran out of time. It might be possible at a later date to undo the main back seam and insert a zip but I would have to remove, or seal inside, the loose tail stuffing. I think he took about a day in total to make but I’m really pleased with how he turned out! He’s really comfy in case you’re wondering what it’s like to squish five and half bed pillows into a sluggy shape. He’s currently chilling out on my daybed before he’s moved in the new year to my boyfriend’s place. I have yet to decide if I may make another Jabba for me! He’s the same age as Billie but is a little larger in size. 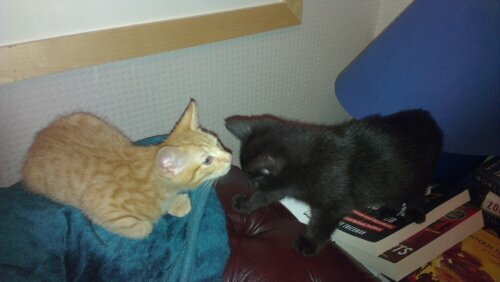 I wondered how they’d get on together and at first there was a great deal of hissing from Charlie. Billie on the other hand was very curious about him. It took a day and a half but eventually they decided that they liked each other. It is so nice to have a multi cat household again. 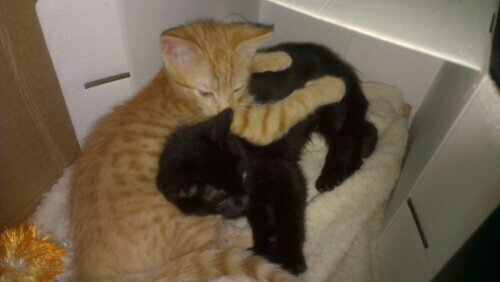 I’m not planning on expanding beyond two, but they seem a lot happier than Emma was as a solitary kitten. This time next week I’ll be deep in Nanowrimo. As usual I’m both looking forward to it as well as being rather scared! I really have no idea how I’ll do this year.